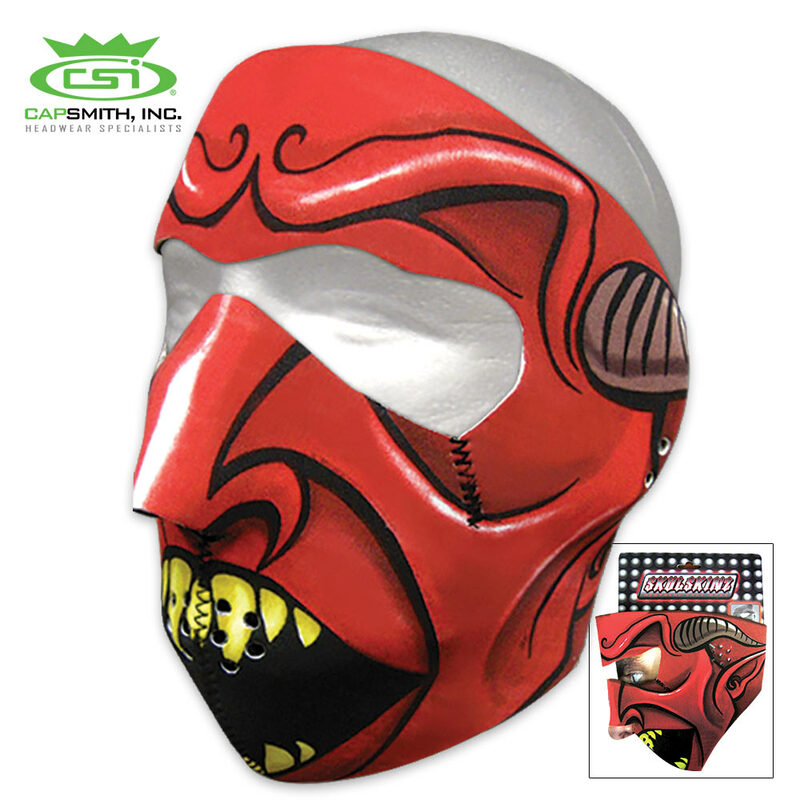 Our Speed Demon Neoprene Face Mask is perfect for protecting your face and neck against the elements, especially when you’re on your motorcycle, snowboarding or hunting. 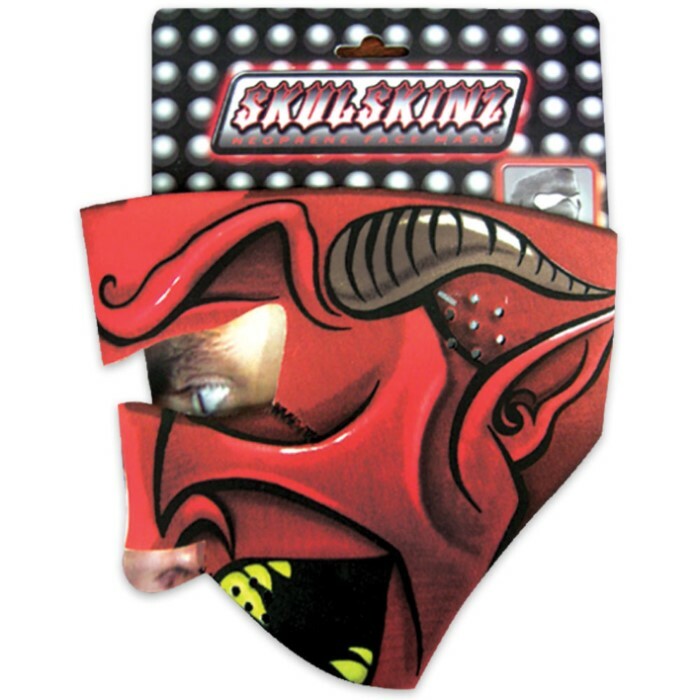 It has vivid, original graphic artwork portraying a red, horned speed demon that wraps completely around the mask. The vivid, saturated colors are dye sublimated so that they don’t fade but stay vibrant and withstand the elements. The mask is made out of elastic neoprene which protects your face from water, sand, wind and extreme hot or cold climates. It has vent holes for the ears and mouth and an adjustable Velcro closure. The reversible, full-coverage mask can be worn with or without goggles and one size fits most.